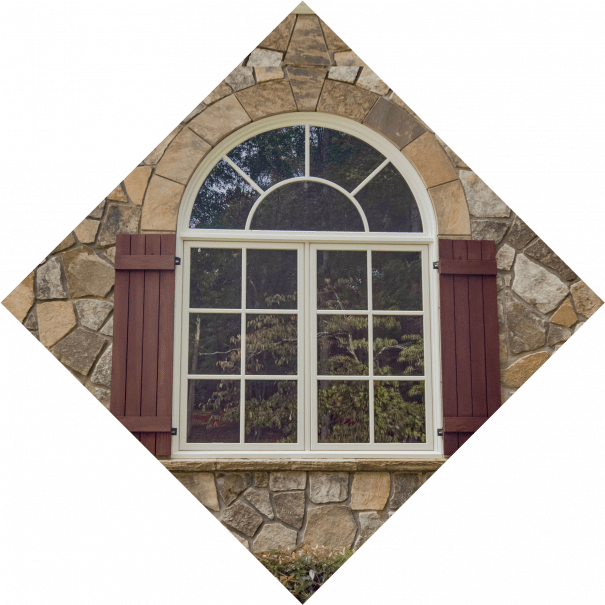 North Georgia Replacement Windows specializes in the replacement of Windows and Doors. 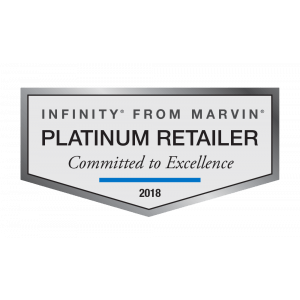 We are the only authorized retailer in Georgia to carry Infinity ® from Marvin windows. 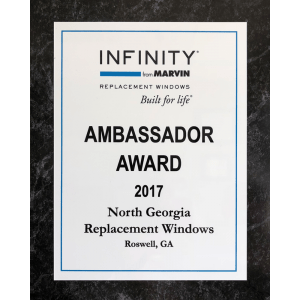 North Georgia Replacement Windows exclusively offers Infinity from Marvin fiberglass replacement windows. 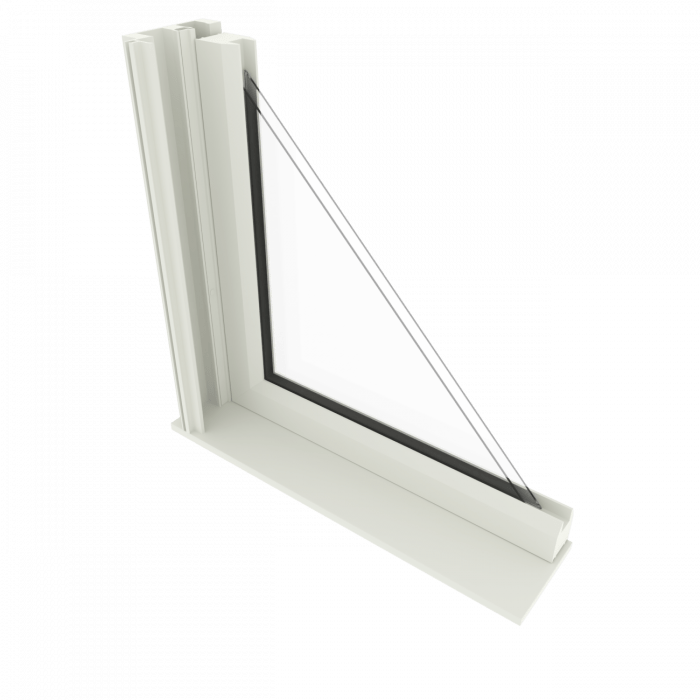 Infinity Windows utilize the patented Ultrex® process that combines the best in energy efficiency, durability, and beauty. 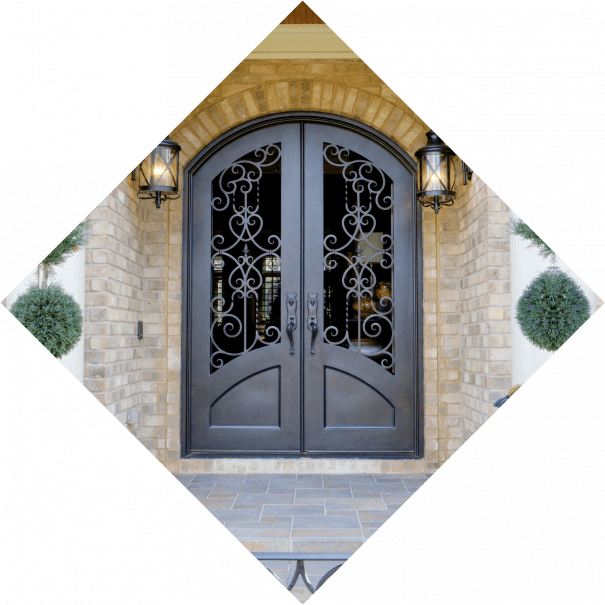 North Georgia Replacement Windows offers a variety of custom and decorative door options. 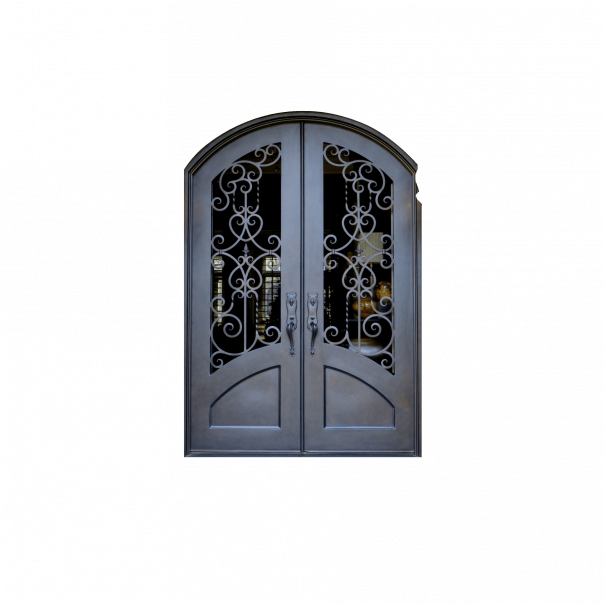 Whether you are looking to replace your main entry door, French, or back patio door, we have a full range of choices available. We have over 50 doors on display in our showroom. Ultrex ® fiberglass provides an insulating barrier between extreme weather temperatures. Ultrex® is made predominantly from silica sand, a safe and abundant resource. Enjoy the look of traditional wood windows without the rot. Infinity windows offers many glass options for energy efficiency, code compliance, sound reduction, and aesthetics. Infinity windows offer U.V. protection and have some of the highest performance ratings to keep you comfortable year round. 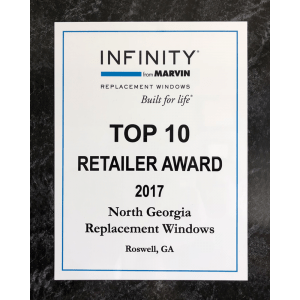 North Georgia Replacement Windows prides ourself on superior customer service. 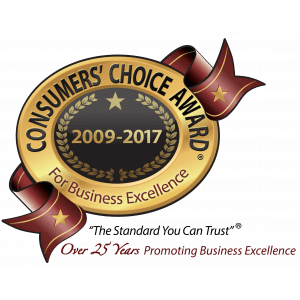 From our free proposal offer to our “red carpet experience” and our Lifetime Service Warranty, the homeowner’s satisfaction is our top priority. 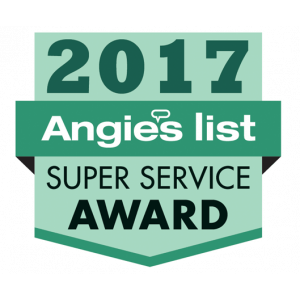 Watch our video for details on our concierge level of service and why we are considered "the best of the best!" When you call or fill out our web form, we will call you back to find out how NGRW can make you feel more comfortable in your home. We’ll ask a few questions to make sure that NGRW is the right fit for you. We will answer any questions you may have for us. Finally, we’ll schedule a convenient time to meet at your home, or you can come to our showroom. Whether you are looking for replacement doors or windows, meeting with one of our knowledgeable consultants is the first step. Please, plan on spending at least an hour reviewing samples, discussing your options and planning for your home's makeover. You’ll find your North Georgia consultant easy to work with. We believe in a no-hassle, no-pressure, no-gimmick approach. Based on your home, your style preferences, your budget, and how much longer you plan to stay in your home, we will be glad to make specific recommendations. We’ll take measurements and gather other necessary information for preparing a price quote. If you are interested in taking advantage of one of our finance offers we will walk you through the process. The proposal you receive will include everything necessary to complete the project, so there are no unexpected costs later. Most homeowners understand that new windows and doors aren’t expenses — they’re investments that will pay off in lower energy and maintenance costs over time. 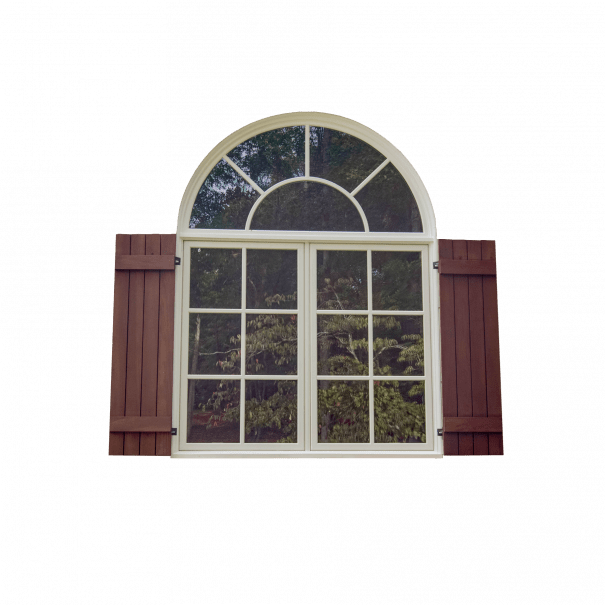 If you prefer to only replace some of the windows in your home now, and the rest of the house later, you’ll have that opportunity. Once you sign and return the Agreement, we’ll get to work custom-creating your windows and doors. Your custom ordered windows or doors will take approximately four to six weeks. Before your custom windows or doors are ready, we’ll contact you to schedule a time for your install. With North Georgia’s ‘Red Carpet Approach,’ we aim for minimal disruption of your home. If you have any questions or concerns during the process, your onsite project manager is available to assist you. After the windows or doors are installed, we’ll do any ‘finishing’ work that’s necessary, and thoroughly clean up and vacuum the areas where the work was completed. Finally, you and your onsite project manager will walk through and inspect everything to make sure everything is perfect. 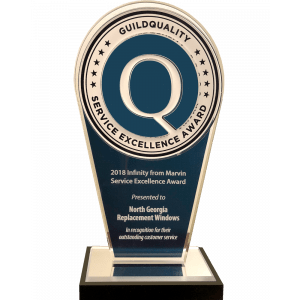 Since your opinions are important to North Georgia Replacement Windows, an independent survey company will call to ask you about your level of satisfaction with your new upgrades, as well as the overall experience. 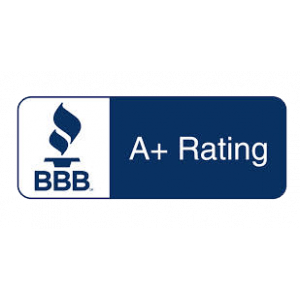 After every job, an independent company surveys the homeowner. North Georgia breaks national records, with over 98% saying they'd recommend us. Those who expect VIP treatment choose North Georgia time after time. We respect and protect your home and your family as if they were our own. Not a 1, 5 or 10 year warranty. If you EVER have a problem, we'll fix it for FREE. Ask other contractors if they stand that strongly behind their products. 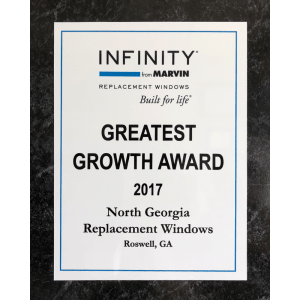 Of thousands of contractors nationwide, Window and Door magazine named North Georgia Replacement Windows No. 1 in the Homeowner Market. See our Reviews from our third party surveyor! The windows not only look great but they truly work in reducing the cold air entering the house. The salesman did a good job of educating me on the broad subject of windows and understanding why yours are best..No hard sell of sign here for a discount. I was most satisfied with the product quality and service quality. They both met my expectations. I would like to recognize the whole team, they did great. There wasn't a single person who dropped the ball, so it was really good. I would like to recognize Kevin Fidati for his exceptional service, he did a great job and he was superb. I was most satisfied with their timeliness of getting the job done despite the amount of rain we had. That was impressive. I just liked the process and the way they got the job done. I was most satisfied with the installation team, and the quality of the windows. I had a good experience with everybody. 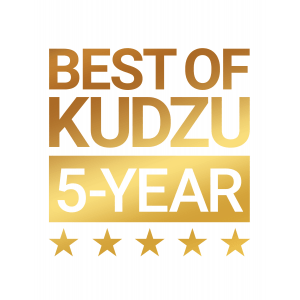 I would like to recognize Kevin and the installation crew for their exceptional service. They were very professional and did a great job. The crew was very good and kept the area of installation clean both inside and outside. They got the job done fairly quick and made sure we were satisfied with the work and work area cleanup before they left. Overall, very satisfied with project and NGW. This is 3rd project they have done for our family and would use them again and recommend them to anyone needing replacement windows. None. They are on time, professional and a great team to work with. I never has a worry in the world when dealing with this company. Everyone, but especially Mike Cline, Salesman Extraordinaire. He is just great! Not high pressure at all and answers all questions, very cooperative and friendly. Also, Robert and his installation team. Super! Perfection! See Our Limited Time Offers!